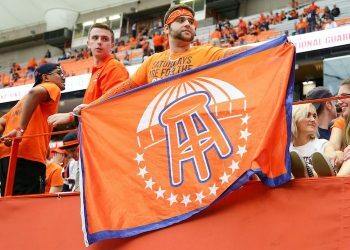 Sports Handle is pleased to present Cover City: A Pro Football Betting Podcast, brought to you by PropSwap.com. 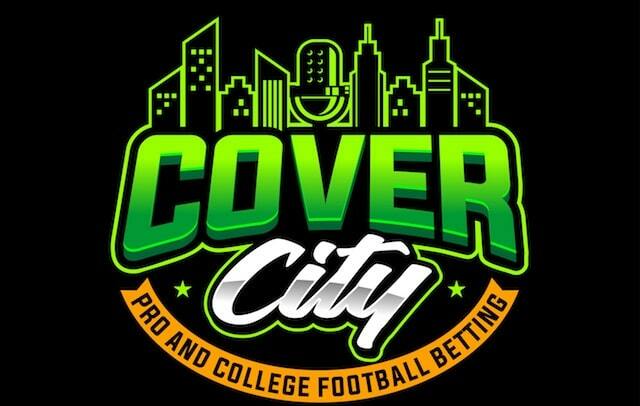 Cover City is hosted by Eric Rosenthal (@ericcports), a professional sports bettor who focuses on NFL and college football. 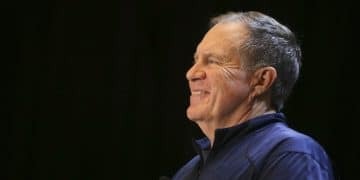 He’s wagered more than $25 million in the last nine years, getting banned from many sportsbooks along the way. We’re over the halfway mark. Show regular and professional sports handicapper Christian Pina (@ChristianPina) joins Rosenthal for a storyline-rich week, including a GOAT QB showdown, the L.A. Rams streaking undefeated into New Orleans, the return of FitzMagic, as well as possibly the worst QB ever, Nathan Peterman. Listen below for Week 9’s best teaser and prop opportunities and don’t miss Rosenthal’s SuperContest picks. 2:30 — Week 8 recap: the return of the pros. 4:19 — Detroit Lions +4.5 at Minnesota Vikings — The Vikings are normally among the best teams at home, but have struggled this year. Still, Minnesota or pass. 6:19 — Kansas City Chiefs -8.5 at Cleveland Browns — If you want peace of mind, take the teaser. 9:39 — Pittsburgh Steelers +3 at Baltimore Ravens — While the Ravens break Christian’s (gambling) heart again? Try to middle this game for the best value. 12:23 — Tampa Bay Buccaneers +6.5 at Carolina Panthers — Don’t get caught up in the FitzMagic rollercoaster. Panthers TE Greg Olsen in the prop market is best bet for this game. 16:14 — N.Y Jets +3 at Miami Dolphins — No one cares about this game expect the betting market. If you must torture yourself, take the points. 17:10 — Atlanta Falcons +1.5 at Washington Redskins — A must win for a desperate Atlanta, but will Julio Jones ever catch a touchdown? Alex Smith in the prop market is a good way to hedge your bets, too. 19:15 — All about the PropSwap.com market. Right now, PropSwap is offering Cover City listeners 10% off their first purchase or sale. Just go to PropSwap.com/Handle to get 10% off. 25:17 — Chicago Bears -10 at Buffalo Bills — Is the Bills QB Nathan Peterman the worst quarterback to ever play the game? 31:19 — Houston Texans +1 and Denver Broncos — WR Demaryius Thomas was traded from the Broncos to the Texans. How might that impact how Houston approaches the game? 35:34 — L.A. Chargers +1.5 at Seattle Seahawks — Rosenthal is honoring his pledge to stay away from Philip Rivers. Christian is biased since he holds a Seattle game total over ticket, but thinks there could be some potential on the first half under. 37:50 — L.A. Rams +1.5 at New Orleans Saints — Will the Rams remain undefeated? Would a loss do them good? 42:10 — Green Bay Packers +5.5 at New England Patriots — Rosenthal and Christian’s teams finally go head-to-head this week in a GOAT showdown. 47:37 — Tennessee Titans +6.5 at Dallas Cowboys — This game is a long play for Christian, and has potential with first half or full game under. 49:24 — SuperContest picks by Pina. 50:39 — SuperContest picks by Rosenthal. 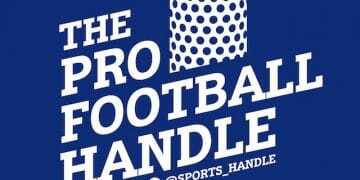 Also check out this week’s Pro Football Handle podcast!